This high-quality spiral peg by Outdoorer is multifunctional in the truest sense of the word. Whether it is used to fix large tents, tarpaulins, boats or a leash – the jetty peg is ideally suited to many purposes! 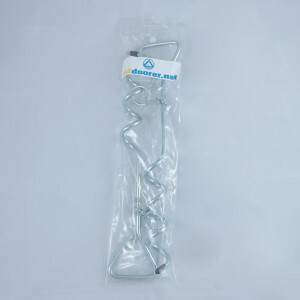 The corkscrew-like shape not only enables secure anchoring on various bases, but makes it possible to insert and remove the spiral peg without going to great effort. You can purchase the Jetty Pegs at Amazon. 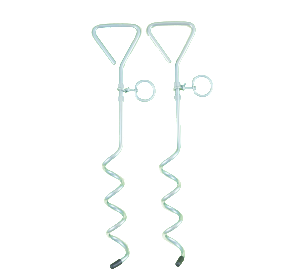 This spiral peg is particularly robust and reliable as the spirals ensure that it stays in the soil – and that is very necessary because the jetty peg is used whenever it comes to fastening a heavier and bigger object securely. Whether it is a boat, plane, party tent, awning or trampoline – the jetty peg ensures that everything is held down firmly, so it stays safe even in stronger winds. At the beach or at the campsite, life can be challenging for a dog owner, because the options for safely tying up your furry friend are often very limited. In these situations, the spiral peg by Outdoorer is the perfect solution. This ground anchor is excellent for tying up dogs, even if they are a bit bigger and stronger. The fact that it turns through 360º means that dogs get maximum freedom of movement while being held firmly on the leash without being able to escape. The spiral jetty peg by Outdoorer is made of galvanized steel. The high-quality material ensures that the peg does not bend and guarantees a long life. With the help of the spirals, this 40 cm long peg can be screwed deep into the ground without much effort, thus the peg remains firmly anchored in a storm. The spiral pegs by Outdoorer will be delivered in a 2-piece pack in practical and durable transport packaging with clip closure. You can stow the peg safely and tidily. For safety, it also helps that the heads of these spiral pegs are provided with a cap, which avoids injury and protects the transport packaging and other items. Where can I buy the Spiral Jetty Pegs? 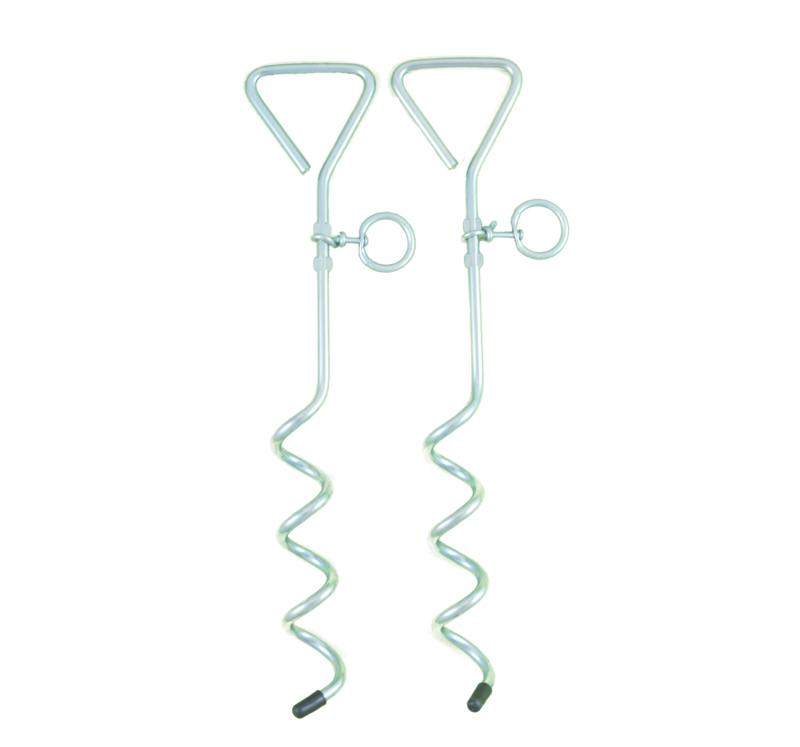 The Spiral Jetty Pegs are available at Amazon.